Our non-surgical fat reduction and body contouring protocol is one of the hottest new trends in dermatology. This FDA-approved body contouring procedure, which uses radiofrequency energy to heat and kill fat cells in a non-invasive way. The treatment is not intended for massive weight loss, but for the reduction of the abdomen from flank to flank. The procedure is virtually painless and requires zero downtime. 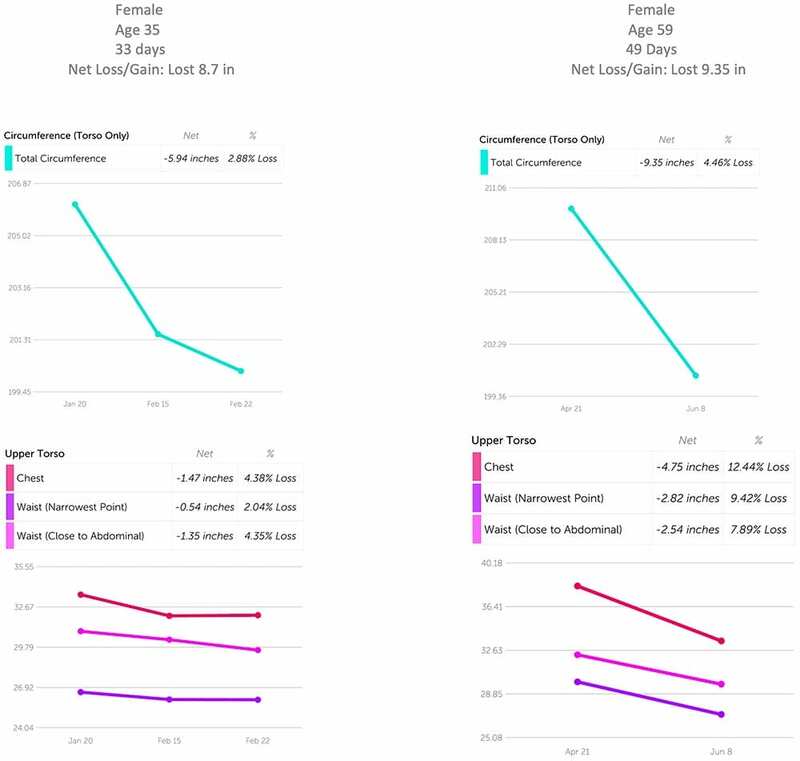 Below are before and after graphs of laser-measured body circumference for patients who were treated with 6 treatments of BTL Vanquish ME. Our experience with this technology and personalized treatment sessions helps us achieve excellent results.